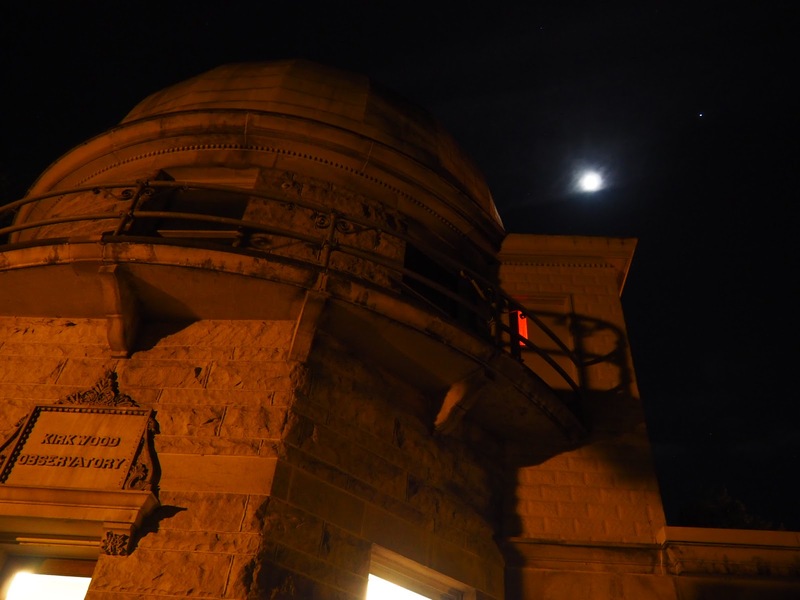 This past Sunday night, the IU Kirkwood Observatory had a special open house for their 115th anniversary. 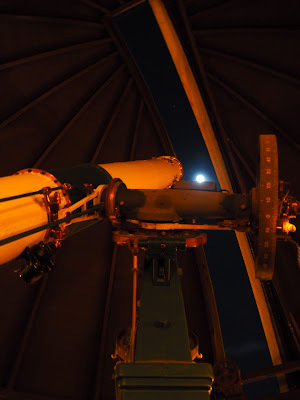 (Usually the observatory is only open to the public on Wednesday evenings.) It was the first clear night we've had in at least a week, so we went to check it out and see what we could see. 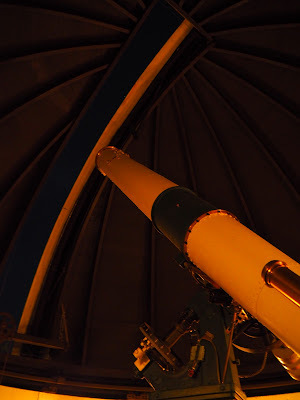 I have only been in a couple of observatories in my lifetime (which seems odd because I like space so much) and this one felt bigger than the others -- at least, the stairs are not very narrow and there is plenty of room on the observation deck for around 20-30 people plus a telescope. The telescope, we learned, is a 12 inch lens and can mostly just see really bright objects. 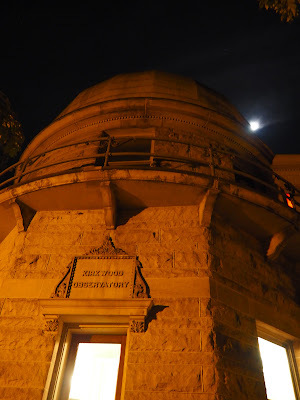 The observatory is now located in the middle of campus in Dunn Woods, right next to downtown Bloomington, not exactly ideal for an observatory, but it was in a good location when it was first built 115 years ago. 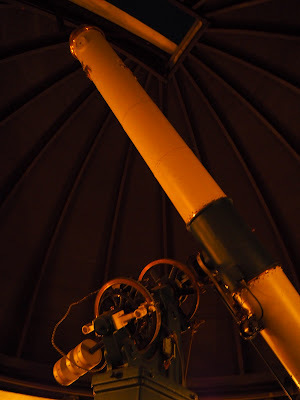 We learned that the observatory is named for Daniel Kirkwood, a mathematics professor at IU who did a lot of astronomy work -- Kirkwood gaps are also named for him (as is Kirkwood Avenue, the main street in downtown Bloomington). The observatory has open houses every Wednesday night from now until November. The opening times change a little bit over the course of the summer (it doesn't get dark enough until pretty late), but you can see all the dates and times on their website here or by following them on Twitter. The Twitter account will keep you updated if they need to cancel. 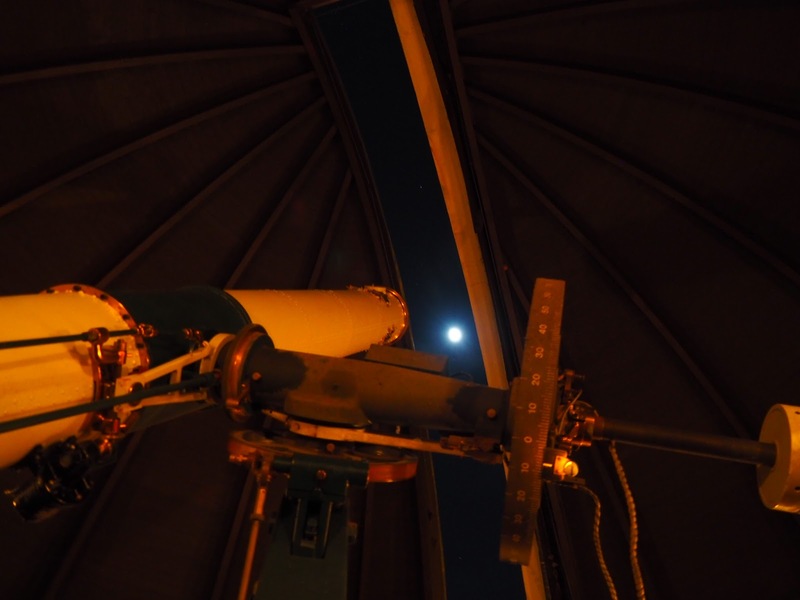 The open houses are free and open to the public. Hopefully we'll be able to go back this summer when cool things will be able to be seen. I had no idea there was a Kirkwood in Greencastle! 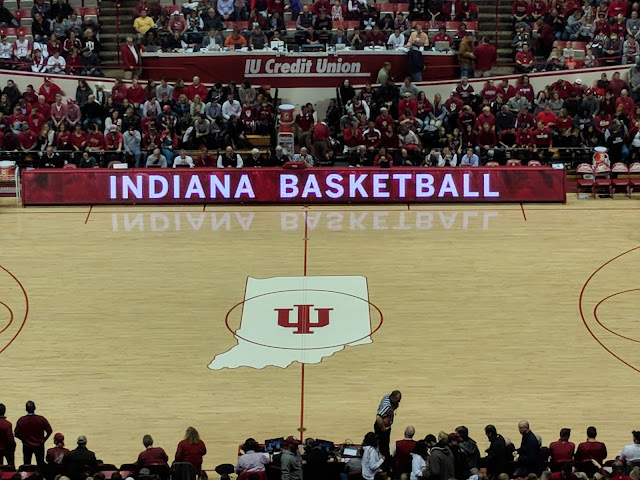 We hadn't heard of Kirkwood the person until Sunday night, either, and spent the next hour looking up what he did. Definitely more interesting. I had been assuming the observatory was named for the street since it essentially sits at the end of it (to the south-ish of the Sample Gates).